I WAS INJURED AT WORK! 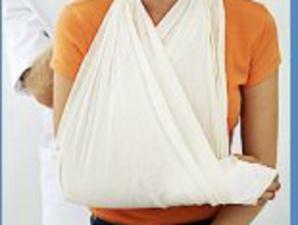 Mr. Dawson has represented injured workers for over 35 years. He appears regularly before the Industrial Commission. He has presented cases from the Industrial Commission level through the Court of Appeals. When you are represented by the Dawson Law Firm, the carrier knows it will have to deal with Mr. Dawson, not an associate. There is no charge for a consultation. You pay no attorney's fee for your WORKMENS COMPENSATION CLAIM unless we recover. Our Firm works on a contingency fee basis. We will collect a fee only if we win a settlement or favorable decision for you. All fees must be approved by the North Carolina Industrial Commission. Our employment agreement provides for a fee of 20% from a recovery if settled before a Request for Hearing and 25% if settled afterwards.